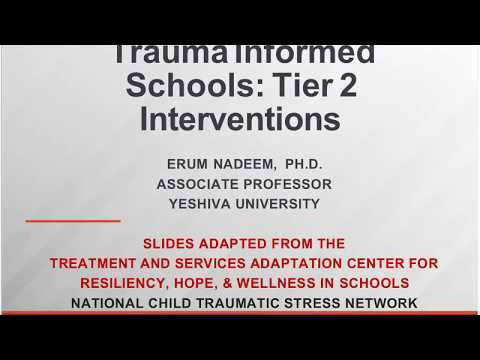 A trauma-sensitive school includes approaches for addressing the needs of students who might be demonstrating social, emotional and behavioral challenges as a result of their exposure to trauma or chronic stress. Such challenges can certainly begin to manifest in poor educational outcomes and behavioral problems in the classroom. This webinar will focus on interventions for students with known exposure to traumatic or adverse childhood events.